This stiffened gold velvet crown with black-tipped red fur trim adjusts for size with a velcro close at the back. A staple for castle dwellers from fairytales and storybooks along with velvet capes, knights and the new dragon further down this list. Another creature to add to your native collection. It could also be a dinosaur, lizard or a dragon. This hood and tail are made from reptilian vinyl with soft off-white spikes. 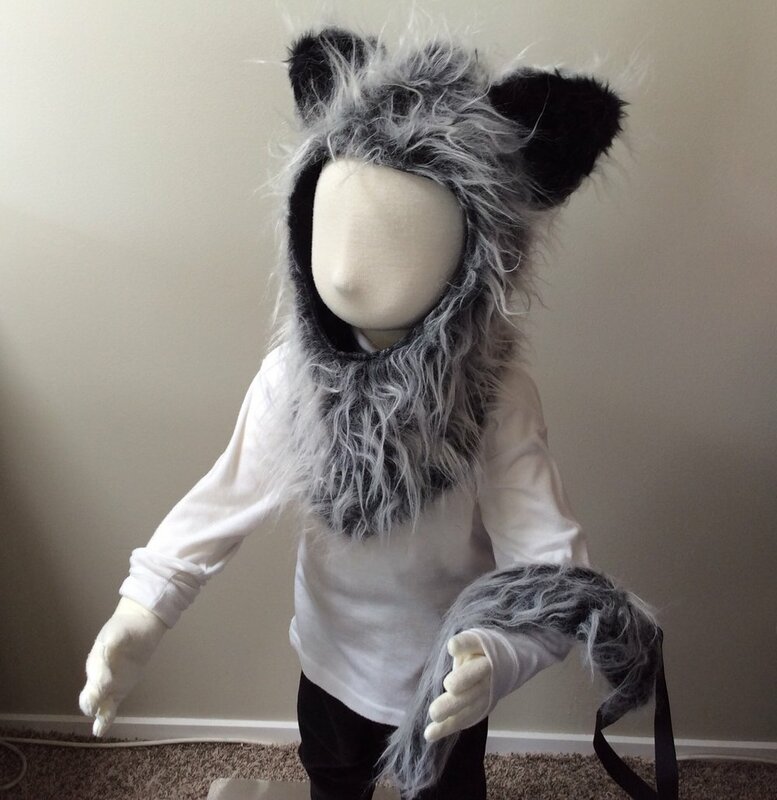 The hood closes with velcro under the chin and the tail is on wide elastic. I found this gorgeous top quality stretch velvet recently and knew it would make special capes. The purple pile rises from a cerise base, which gives a shot purple/pink look, especially in the sunlight. The base colour also shows as a contrast lining which is glimpsed in the hood and when the cape moves. 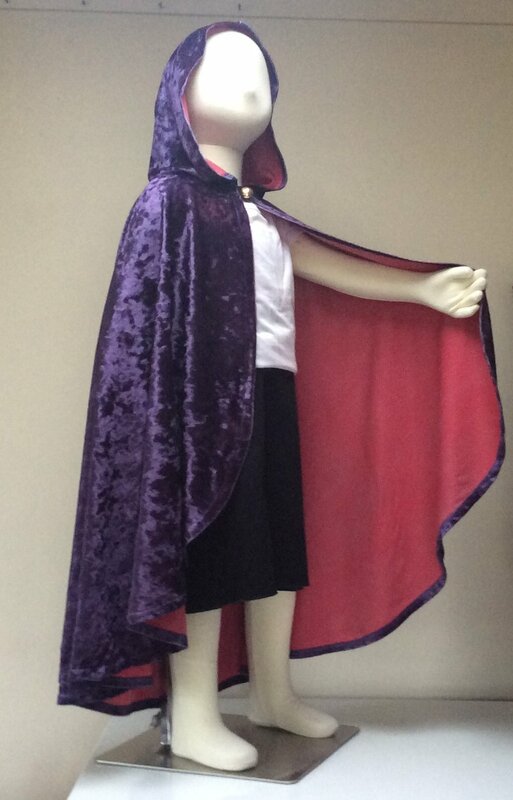 As they are both rich, deep colours the cape is gender neutral. Perfect for royal, magical and glamorous fantasy characters. 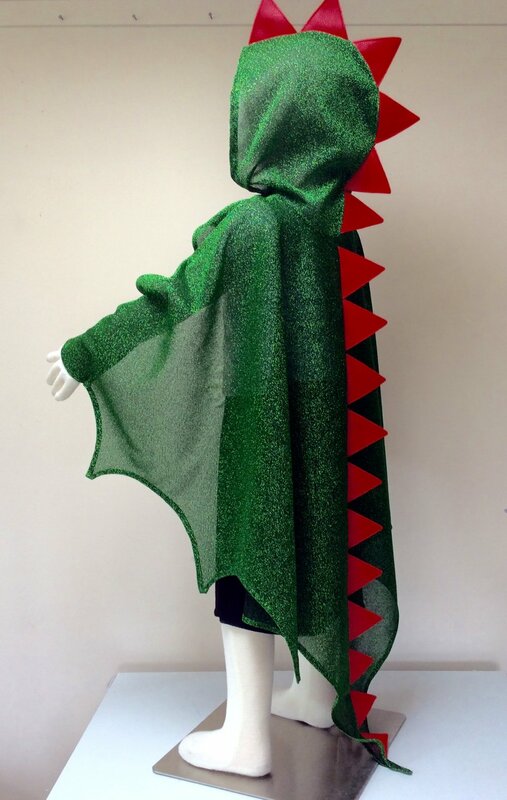 The number of capes I can make like this is limited by the fabric availability, so now is the time to buy.